"The Diabetes Resources Guide, developed in partnership with the San Antonio Health Advisory Board, provides links to services available in town and gives information for people with diabetes and the providers who care for them"
SAN ANTONIO--(BUSINESS WIRE)--The San Antonio community has a new tool dedicated to improving access to helpful information about diabetes and connecting to local resources. 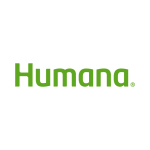 Humana Inc. (NYSE: HUM), one of the country’s leading health and well-being companies, and the American Diabetes Association have united with the San Antonio Health Advisory Board to launch the Diabetes Resources Guide, an online resource for those living with diabetes in San Antonio. Diabetes occurs due to the body’s inability to make insulin (type 1) or by the body not responding to the effects of insulin (type 2). The Diabetes Resources Guide serves as a valuable tool to connect those living with type 1, type 2 and gestational diabetes, in addition to those at risk for diabetes, to provide information on free and low-cost programs available throughout San Antonio. The Guide – available to the public for free at DiabetesResourcesGuide.com – includes extensive information on the different types of diabetes, a library of articles on living with the condition, information on prevention and a directory of organizations that provide local resources and programs for San Antonio residents affected by diabetes. With 14.2 percent of its population diagnosed with type 1 or type 2 diabetes and 71 percent classified as overweight or obese, according to the City of San Antonio Metropolitan Health District, the impact of diabetes on Bexar County is higher than the national average. The Guide’s informational articles touch on essential topics for residents with diabetes, including blood glucose levels, healthy eating, exercise, tools for the newly diagnosed, lifestyle tools and tips on improving mental health. In addition to Humana and the American Diabetes Association, the organizations included on the website that provide resources to residents include The Children's Hospital of San Antonio, CHRISTUS Santa Rosa Hospital - Westover Hills, Methodist Healthcare, Daughters of Charity Services of San Antonio, San Antonio Food Bank, San Antonio Metropolitan Health District, Social and Health Research Center, University Health System - Texas Diabetes Institute, University of Texas at San Antonio and YMCA of Greater San Antonio. Members of the community who tested the online tool stated that the personalized health care was easy to use and helpful. Humana and the American Diabetes Association encourage San Antonio organizations with missions or programs that focus on diabetes to submit via DiabetesResourcesGuide.com/about.php to become a partner organization and have their services listed on the Diabetes Resources Guide. The American Diabetes Association celebrates 75 years in leading the fight against the deadly consequences of diabetes and fighting for those affected by diabetes. The Association funds research to prevent, cure and manage diabetes, delivers services to hundreds of communities, provides objective and credible information, and gives voice to those denied their rights because of diabetes. Founded in 1940, our mission is to prevent and cure diabetes and to improve the lives of all people affected by diabetes.